I love maps. Not the ones that are useful, really. The decorative ones, or the ones that accompany a novel. The useful ones have a sort of dryness to them. 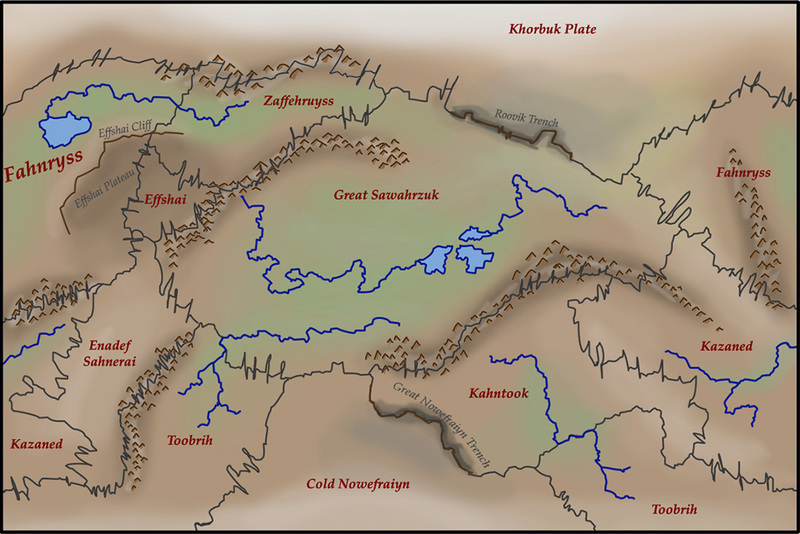 I was never a big Tolkien fan, but I liked his maps a lot. 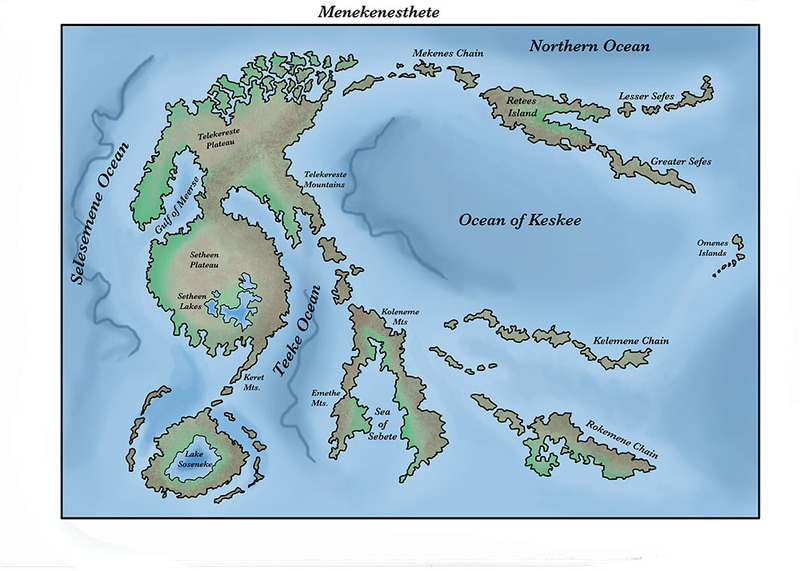 Vernor Vinge’s “A Fire Upon the Deep” has a map of the galaxy, and I found that added to my enjoyment. I like historical maps too; you get an insight into past culture that comes much more slowly from print. Old maps sometimes have amazingly different spellings and different borders (Capp Codd instead of Cape Cod, for example, on an old american map). Old city maps reveal the old structures that gave rise to the city of today. A few years ago, the university museum had an exhibition of old maps. A lot of these maps remain available online as well. In school, I used to dream up exotic places and cultures. I’d sit at my desk and draw up a new world. I’d imagine the cultures of the various regions. How the geography might influence the overall culture. Of course how the various different planets would interact. In many ways, Vironevaeh, the universe I’ve played in since I was 10, began because of a map. In 5th grade, we were required to invent a city and imagine what kind of climate, government, and culture it might have. Part of the assignment was to build a diorama of the city. I did a poor job on it (long-term projects weren’t a skill of mine at that time), but the seed had been planted. With the map, I had a connection to the place. Over the odd years of middle school I invented an alphabet, a planet, and several dozen playmate planets. Almost 16 years later, long after the death of that diorama, Vironevaeh lives on. 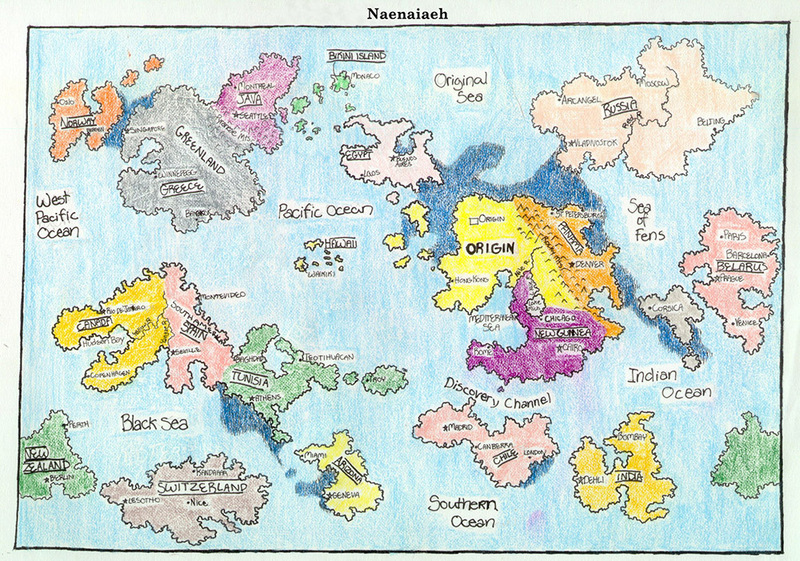 The map of Naenaiaeh, below, is about 10 years old. I’ve been slowly making other maps over the years. The sister planet to Vironevaeh. On Naenaiaeh, the people missed earth, and thus re-used the old names from home. Silveriaeh, a planet of almost no water (I did so like the -aeh ending). Dark brown lines indicate fault lines, blue indicate rivers. This entry was posted in Illustration and tagged art, creative process, drawing, historical maps, Illustration, inspiration, make, making maps, maps, motivation on March 11, 2013 by Vironevaeh.